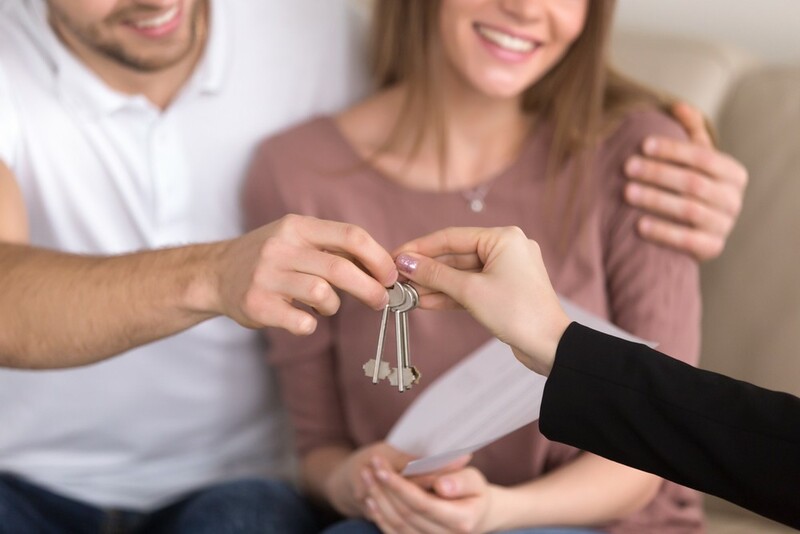 That’s according to a survey conducted by the Housing Industry Association (HIA) which found home ownership is more important to people than ever – but most believe it’s completely out of their reach. Over 92 per cent of renters aspire to own their own home one day, but only 49 per cent believe they actually will. The HIA survey of more than 1,500 Australians found that home ownership is still a key issue. HIA Chief Economist Tim Reardon says the Great Australian dream of owning a home is still very much embedded in the psyche of Australians. “Over 92 per cent of renters aspire to own their own home but less than half of them think they will achieve this dream,” Mr Reardon said. The research also found that 71 per cent are concerned that those unable to achieve this goal will face financial challenges in retirement. “Australians see that the government has a role to play in assisting first home buyers (FHB’s) to address the biggest barrier to home ownership, which is the initial deposit,” added Mr Reardon. “This is because they see that home ownership is important to achieving financial stability in retirement. Mr Reardon says it’s a concern that 75 per cent of Australians feel it’s more difficult to purchase a home now than it was ten years ago. He’s called on the government to address the issue in the upcoming election. “With a federal election imminent, it is important to recognise that 71 per cent of people believe governments have an important role in helping Australians achieve their dream. It comes after research by CoreLogic revealed the FHB market is slowing down after a period of heightened activity, due to falling dwelling values and attractive incentives offered to FHB’s in certain states. In December 2018, there were 8,476 finance commitments by owner-occupier first home buyers which was the fewest monthly commitments since June 2017. Commitments were also -9.6 per cent lower over the month and down -12.6 per cent year-on-year. 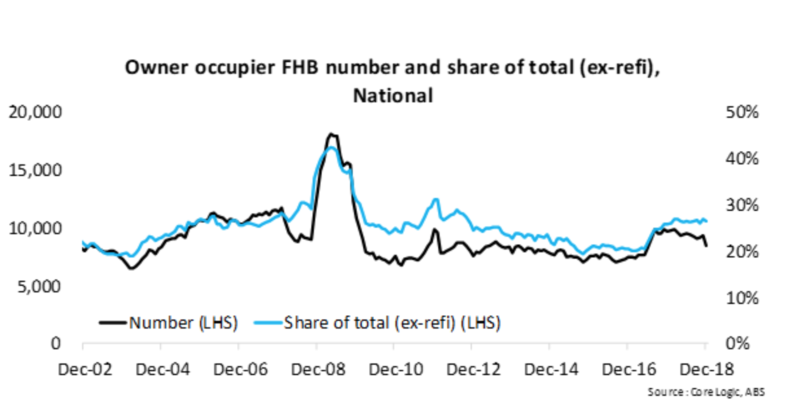 Although the number of commitments was lower, as a share of all owner-occupier finance commitments (excluding refinances) the share of first home buyers shifted only slightly from 26.8 per cent the previous month to 26.4 per cent in December 2018. As seen in the graph below, the minimal change in share is reflective of the overall weakening demand for mortgages. “To-date, the first home buyer segment has been the one source of growing demand across the housing market. Although the weakness has only been apparent for a few months, it will be important to watch going forward,” CoreLogic Head of Research Cameron Kusher said. “With an entrenched downturn in lending to investors and owner-occupier demand falling sharply, if first home buyer activity drops it could lead to a further leg down in value declines across the market. The ALP recently announced plans to scrap the First Home Super Saver Scheme, with shadow treasurer Chris Bowen claiming the scheme was just a cover for the Coalition government’s failure to properly deal with housing affordability.